Published 22Aug2013, updated 24Aug2013. Closed as not finished on 1Jan2019, see below. This page is in group Publishing. I have some ePub documents that I’d like to read on Amazon Kindle, or a Kindle App. I have not succeeded yet. I’m only 20% there. I’d like tips! 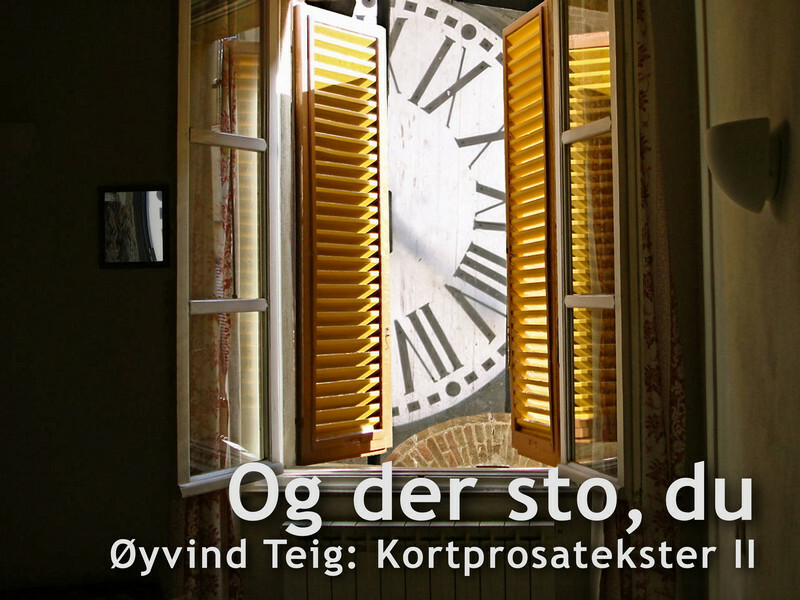 My last book is called “Og der sto, du” (“And there was, you”) and is in Norwegian. It contains 24 very short stories. I have not translated the stories. But you could have a look at it here: http://www.teigfam.net/oyvind/ogderstodu. From that page you may download pdf and ePub versions, here: pdf (5.5 MB) and ePub (4.2 MB). Production of this ePub is described in the 2012 blog Amateur publishing for real, chapter 2. The ePub was produced as ePub export from Apple Pages editor, in February 2012. Pages did have some warnings that I was not able to get rid of: table, columns, formatting. Also about floating objects. I could not see that I had any of those. And when I validated and viewed the epub in iBooks on the iPad it was as it should. I have opened the mobi file in Amazon’s Mac OSX Kindle Reader and a Kindle unit. The Kindle unit had a problem with the letter colour when the background got dark: the letters also got dark, barely readable. Next: I will try to make a new ePub with the present (8.2013) Pages editor. And I will investigate another converter. But I will not pay for the EPUB Converter as of now. But thanks for letting me try! Stay tuned. I now will start off from Amazon’s page Kindle Direct Publishing (KDP): Help . In that page Amazon points to EpubCheck on Google’s page for validation. This is in fact the same service that IDPF offers, but as a downloadable Java app . From Google’s page: “EpubCheck is a tool to validate IDPF EPUB files, version 2.0 and later” and “Note that you must be able to run Java from the command-line and be familiar with command-line tools to use this effectively”. Wait a sec, is it Amazon KDP I need now? Probably not, since I only want to make a mobi file that I can refer with a url which Kindle users then can download, independent of Amazon. So, maybe I need KindleGen, a tool that Amazon has made that can convert from ePub to mobi . I fear it puts DRM on the file, which I don’t want. KindleGen is still seen on “KDP Tools and Resources”. So, what I’ll do now is instead to download Calibre  to try the conversion from ePub to mobi. <idpf> International Digital Publishing Forum. EPUB validator, see http://validator.idpf.org/application/validate. They use Google’s EpubCheck in client mode, but you may also download it from http://code.google.com/p/epubcheck/. The application is written i Java.